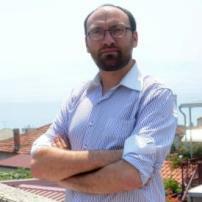 I am a political scientist and analyst, covering broad areas mostly of Europe and Middle East. I also combine interdisciplinary approach with an emphasis on religion, cultural studies, and history. Besides, I am gastronomy critique and tourism expert, specialising in rural tourism and gastronomy tourism. I teach Farsi at the foreign language tours and enjoy traveling. I reside in Croatia. Assad - Should he stay or should he go? Turkey votes 'Yes' for the presidential system - what it means?